We measured potential temperature, salinity, and dissolved oxygen profiles from the surface to the bottom at two locations in the north Ross Sea (65.2°S, 174.2°E and 67.2°S, 172.7°W) in December 2004. Comparison of our data with previous results from the same region reveals an increase in potential temperature and decreases in salinity and dissolved oxygen concentration in the bottom layer (deeper than 3000 m) over the past four decades. The changes were significantly different from the analytical precisions. 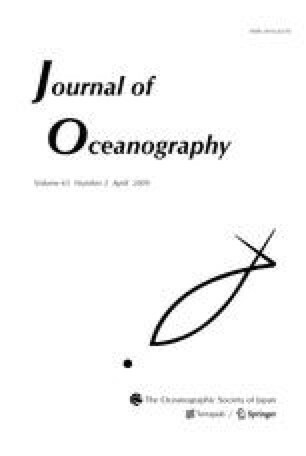 Detailed investigation of the temperature, salinity, dissolved oxygen and σ 3 value distributions and the bottom water flow in the north Ross Sea suggests a long-term change in water mass mixing balance. That is to say, it is speculated that the influence of cool, saline, high-oxygen bottom water (high-salinity Ross Sea Bottom Water) formed in the southwestern Ross Sea has possibly been decreased, while the influences of relatively warmer and fresher bottom water (low-salinity Ross Sea Bottom Water) and the Adélie Land Bottom Water coming from the Australia-Antarctic Basin have increased. The possible impact of global warming on ocean circulation needs much more investigation.